The perfect substitute for rice is Cauliflower. Lower in carbs and calories, but yet very fulfilling. Recipe below. Check out my Youtube link to the recipe, https://youtu.be/TGsl7aNi63Q . First chop cauliflower into large florets and place into a food processor or blender. Begin to pulse, until it forms into a rice texture, keep aside on a plate with paper towel. In a wok or pan, heat up 1.5 tablespoons of oil. Add in the onions, green onions, and red bell pepper. Continue to sauté for 3 minutes, maintaining your heat of medium-low. Next add in the mixed vegetables. Begin to season with the above posted seasonings. Next add in shrimp, cauliflower, and the egg. Continue to sauté and mix for the next 5 minutes. So I’ve recently started the keto diet. The keto diet is a very low carb diet/high fat diet, that turns the body in a fat burning machine. 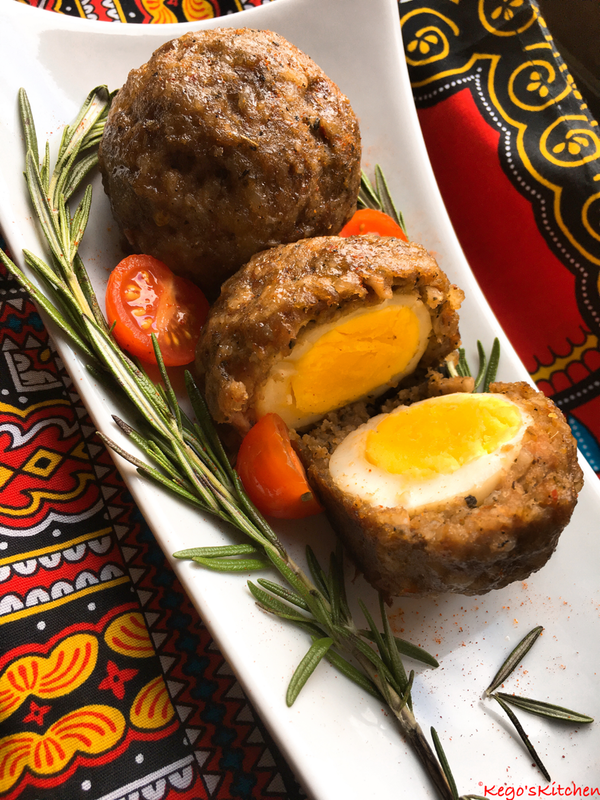 This recipe is so yummy and only has zero grams of carbohydrates per Scotch egg. Season your sausage with above herbs. Take a handful amount and flatten with a roller or hands . 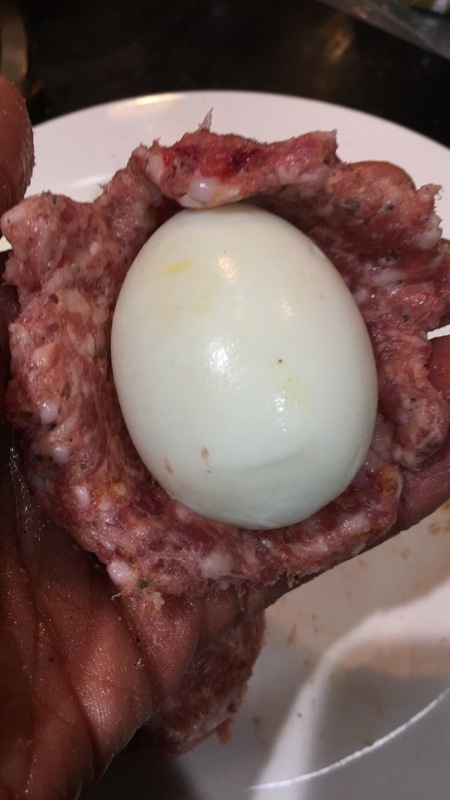 Take the flattened sausage and cover 1 egg. Continue to do this process. Place on an oiled baking pan. Bake for 15- 20 until done. We all have busy lifestyles. Sometimes we don’t have enough time to prepare meals. That’s why its important to always quick recipes on hand . This meal took me nothing less than 10 minutes to make! 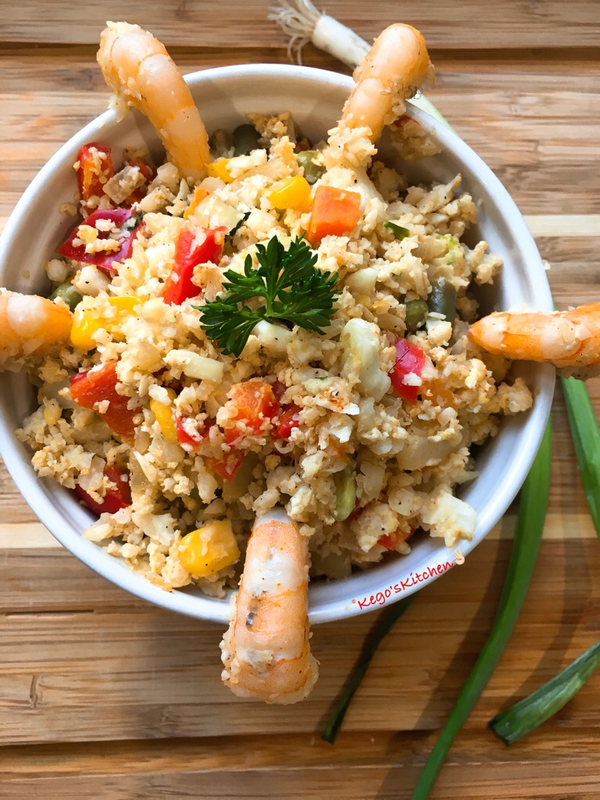 Adding crushed red pepper to your shrimp will surely add an extra kick to your taste buds. I hope you enjoy this spicy, quick, and easy recipe. Season shrimp with salt, black pepper, cayenne pepper, and garlic powder. In a skillet heat up oil, add in minced garlic and begin to cook for 1 minute. Next add in shrimp, red pepper flakes, and parsley . Squeeze in the lemon also. Continue to cook on medium heat for 1 -2 minutes. Next add in white vinegar and butter. Continue to stir fr 1 minute. Remove from heat and serve with steam veggies.